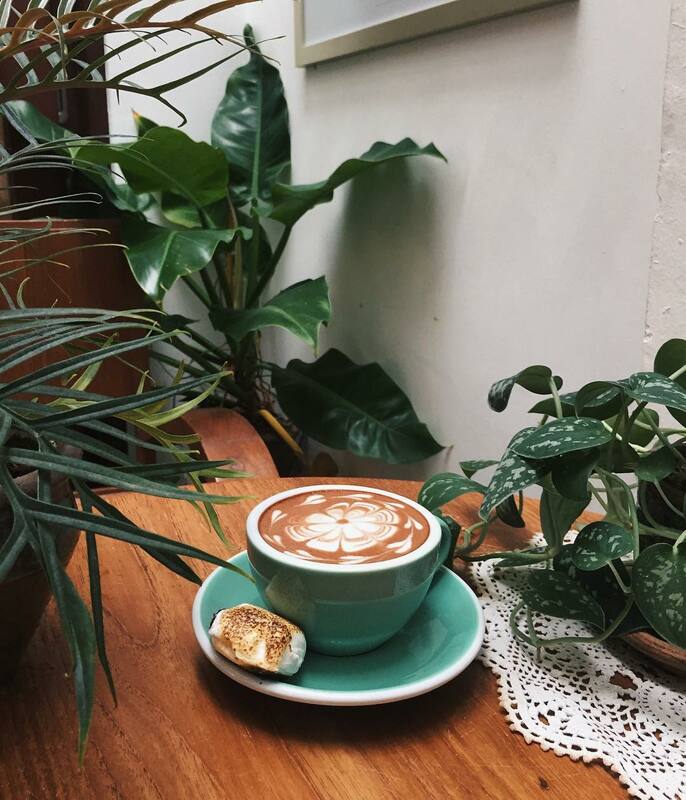 So many aesthetically pleasing cafes in George Town to visit omg! 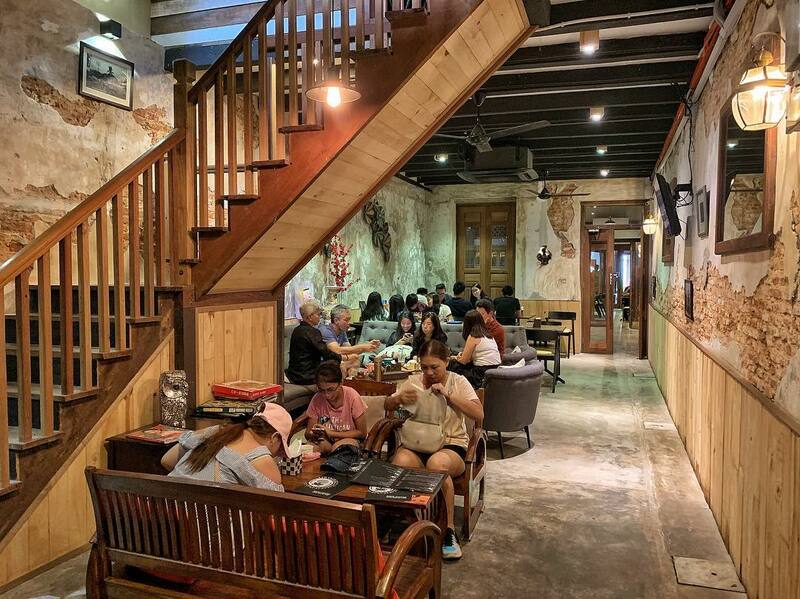 Tucked away behind a bungalow along Jalan Kelawai, Kafka is a new hot spot to cool off from the Penang heat since opening in October 2018. 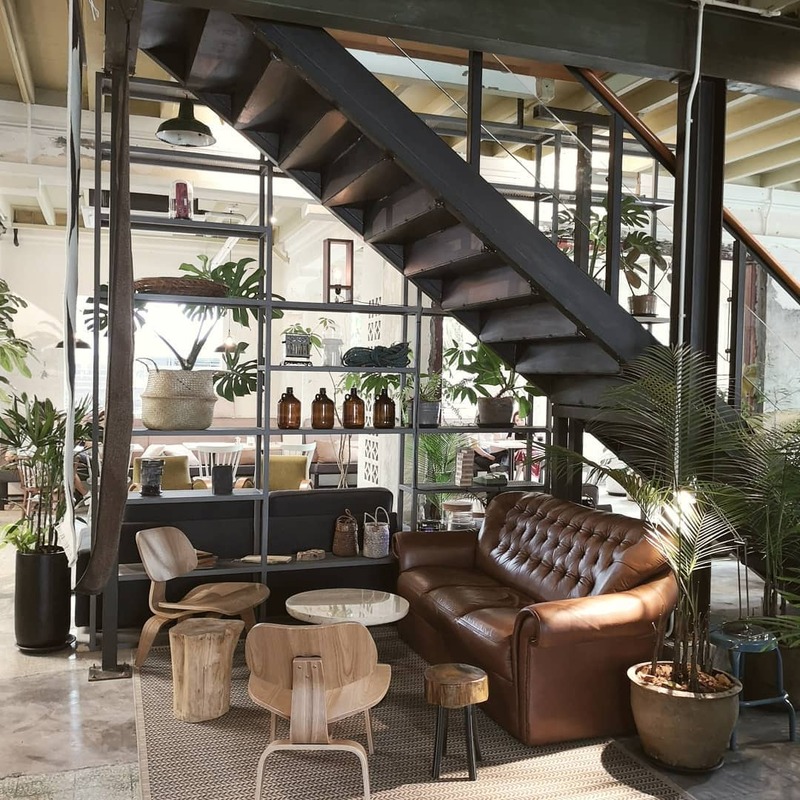 This quaint cafe is made cosy with its mix-match furniture of plump sofas, wooden chairs, and vibrant greens - reminiscent more of a comfortable living space than a cafe. 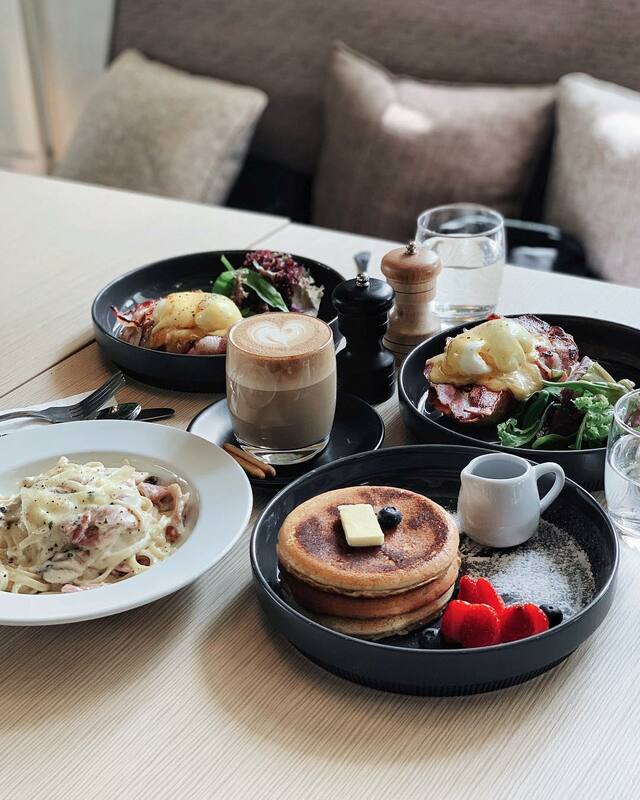 While the all-day breakfast is always a crowd-pleaser here, with unique dishes like the Beef Rendang Benedict and Spiced Eggplant Shakshuka, you can find many other soul-warming food in their lunch and dinner menu. 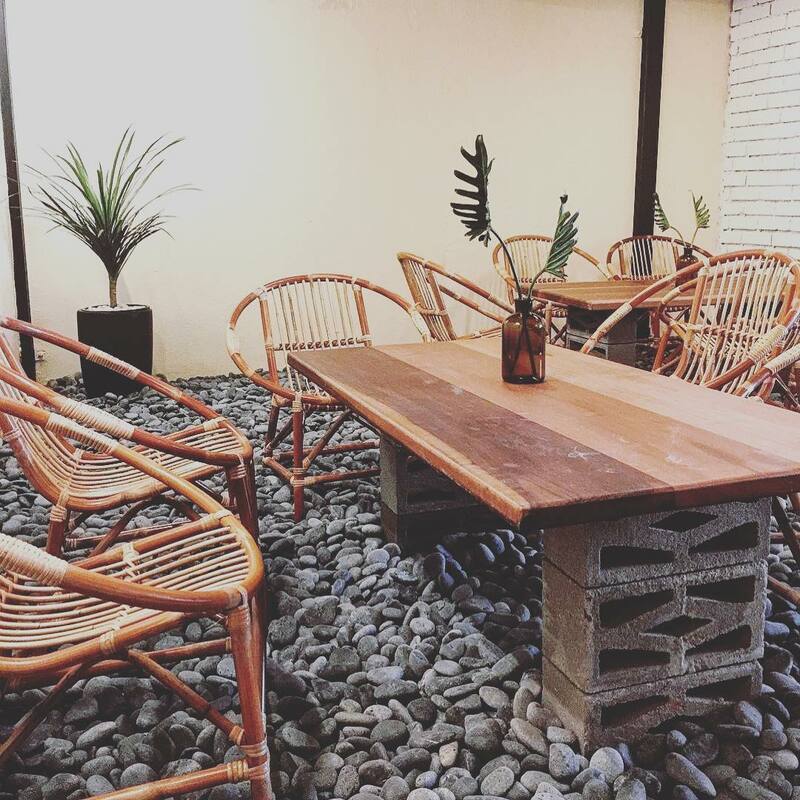 Address: Kafka Penang, 15, Jalan Kelawai, Kampung Syed, 10250 George Town, Pulau Pinang. 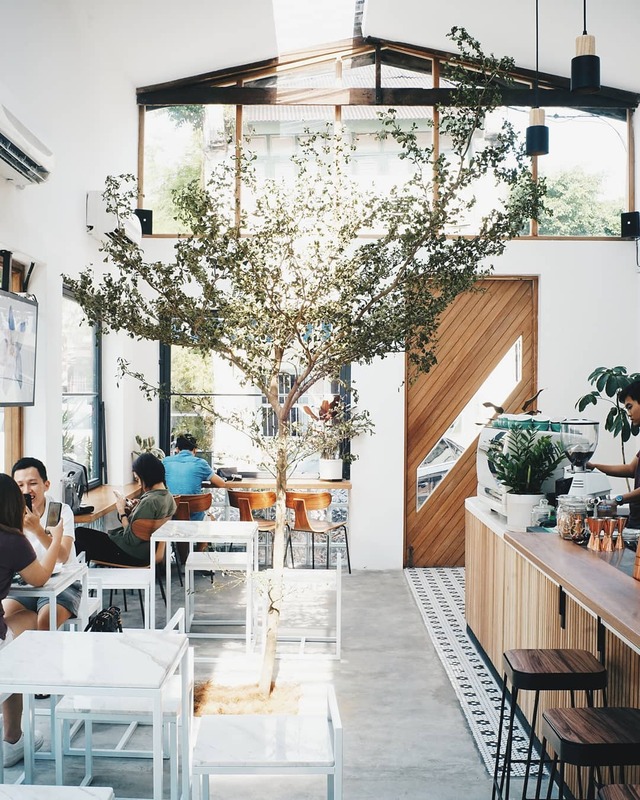 You'll find Norm aesthetically pleasing in every corner with its clean rustic-minimalistic decor of white walls and tiles, accented by rattan furniture, big windows that flood the space with natural sunlight, and a tree that breathes life into the space. 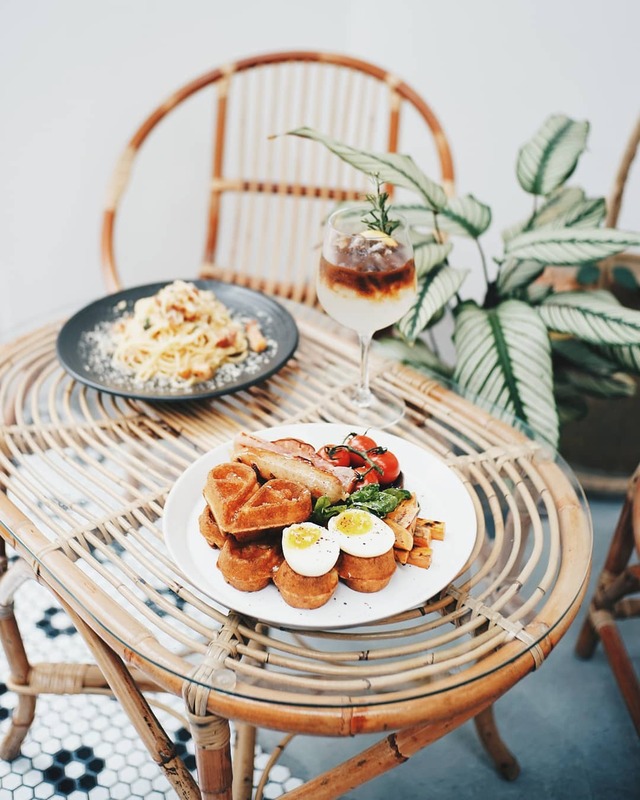 Serving American cuisine, the menu is split between a morning "norm" menu with a healthy spread of coffee, waffles, and their yummy signature Tiramisu dishes. However, their evening "noct" menu consists of alcohol-infused food and beverages to let you loose at the end of the day. Address: Norm, 260c, Lebuh Carnarvon, George Town, 10100 George Town, Pulau Pinang. 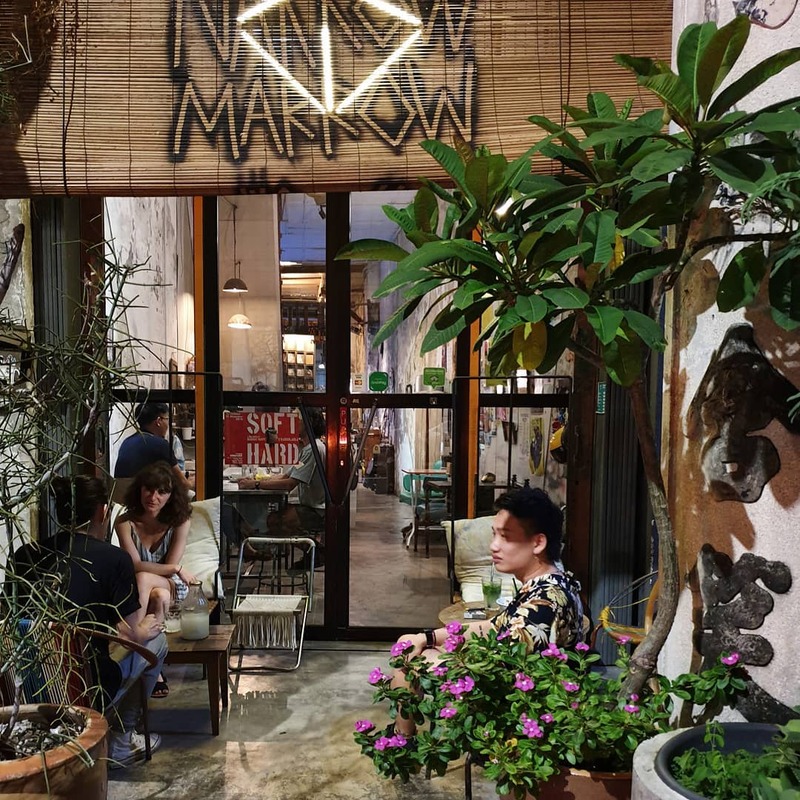 While Narrow Marrow has been opened since 2014, this cafe can be easily missed while walking along Carnarvon Street. 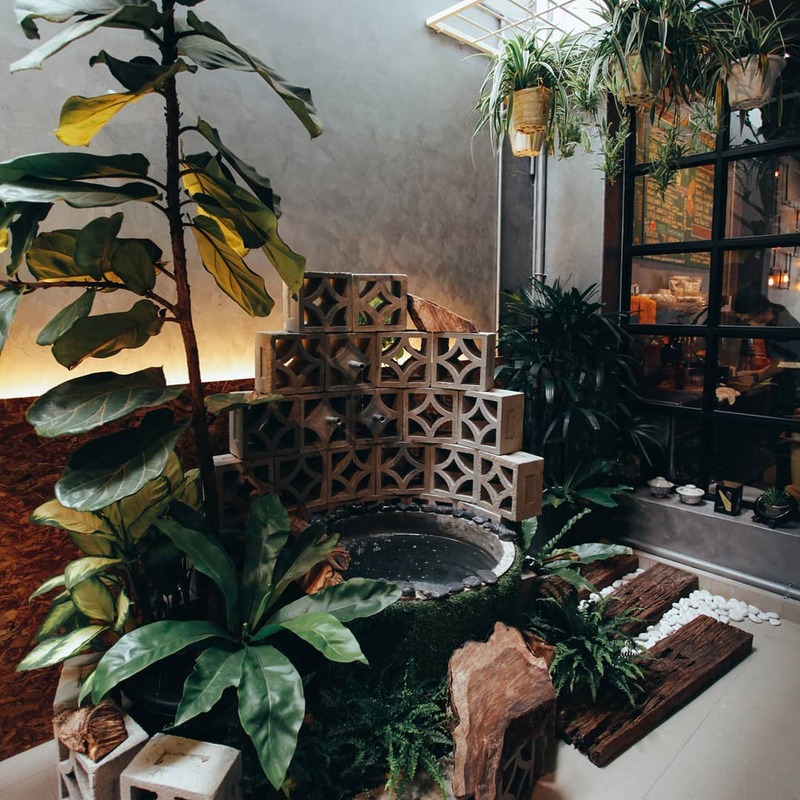 Giving off an eclectic vibe, its interior is quirkily decorated with up-cycled furniture while its bare walls are embellished with various art pieces - making it a cosy little space to tryst with your loved ones. 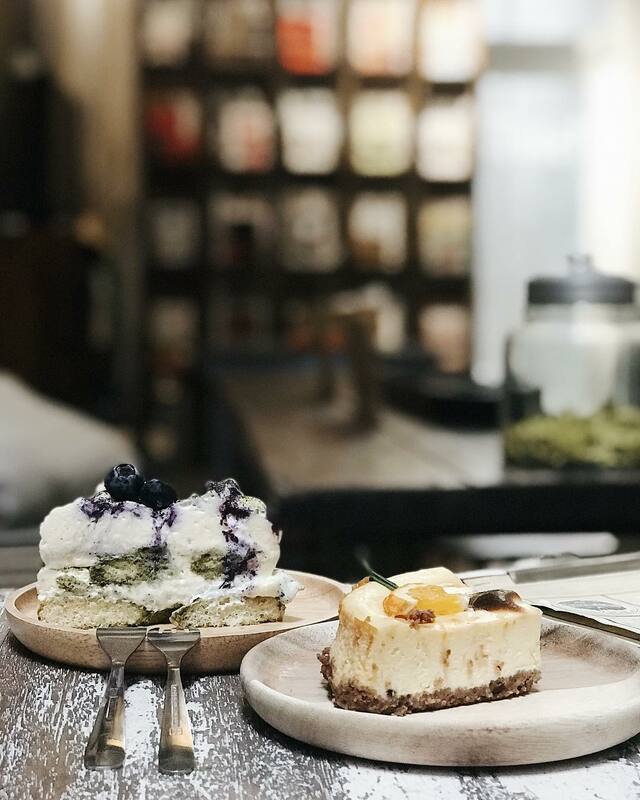 A contrast to their decor, their menu is kept clean and simple - serving hearty Western and Asian dishes, homemade cakes, and espresso based beverages, alongside a medley of refreshing smoothies. 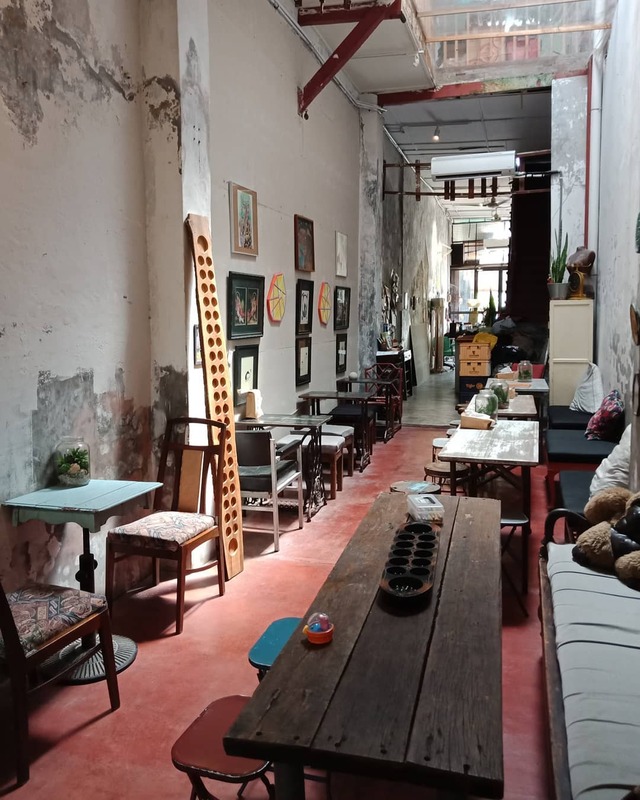 Address: Narrow Marrow, 252A, Lebuh Carnarvon, George Town, 10100 George Town, Pulau Pinang. 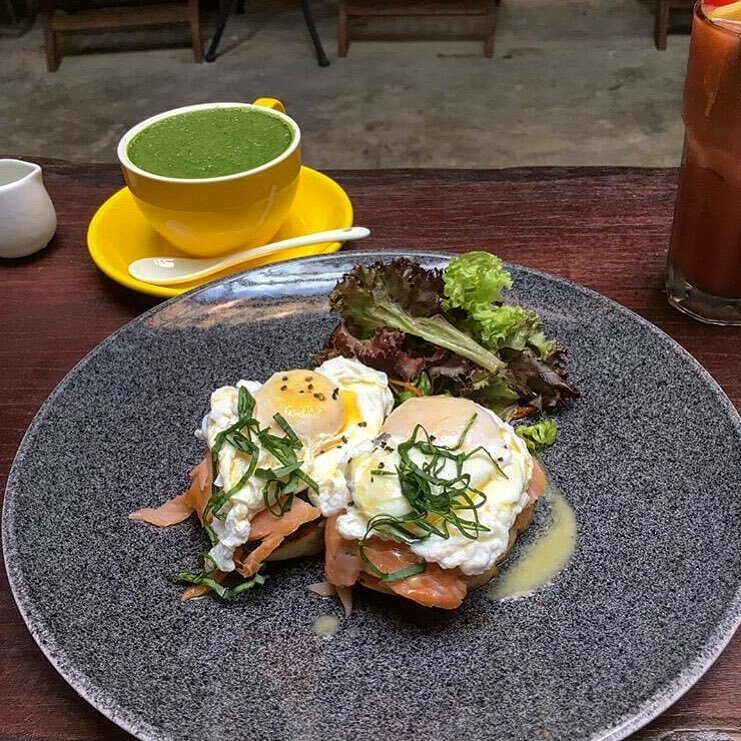 Simple in decor, this cafe charms patrons with its minimalistic interior of grey cemented walls that's livened up with fresh foliage to the joy of any greenery-loving foodie! Known for their homemade, all-natural sourdough bread, you c enjoy it in a variety of wholesome brunch dishes. Joies also serves up some of the most deliciously sinful cakes in Penang! 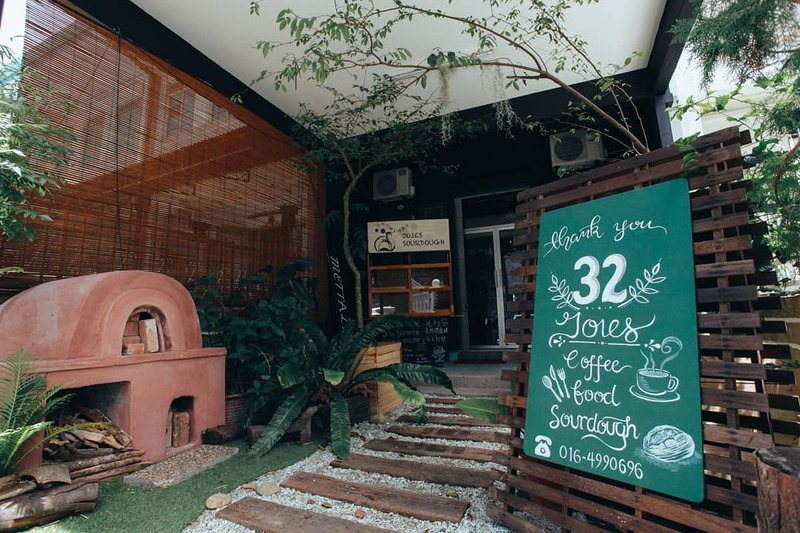 Address: Joies Cafe, 1st floor 32, Jalan Moulmein 10350 Pulau Pinang, Pulau Tikus, 10350 George Town, Pulau Pinang. 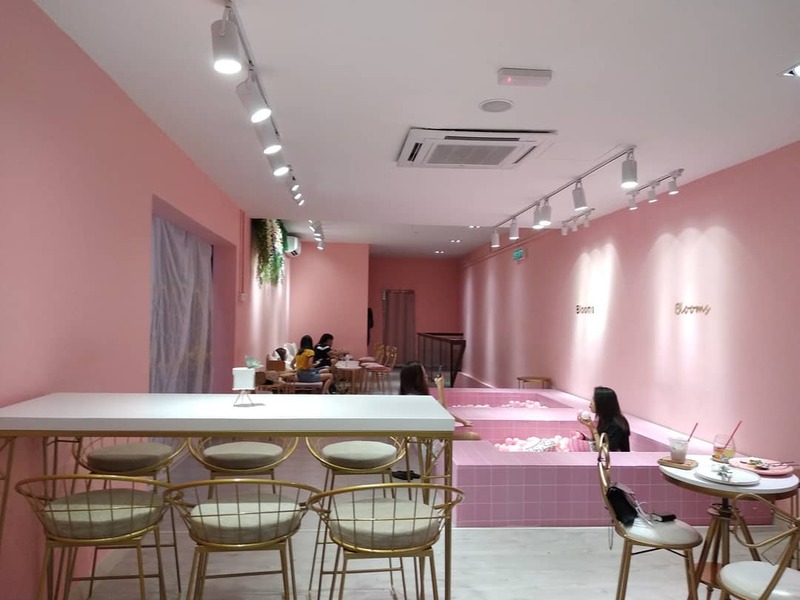 Painting your Instagram feed pink with it's oh so photo-worthy interior, every corner of this cafe is decked out for your #ootd shots - pastel pink walls, chic furniture, and even two pink-themed ball pits! 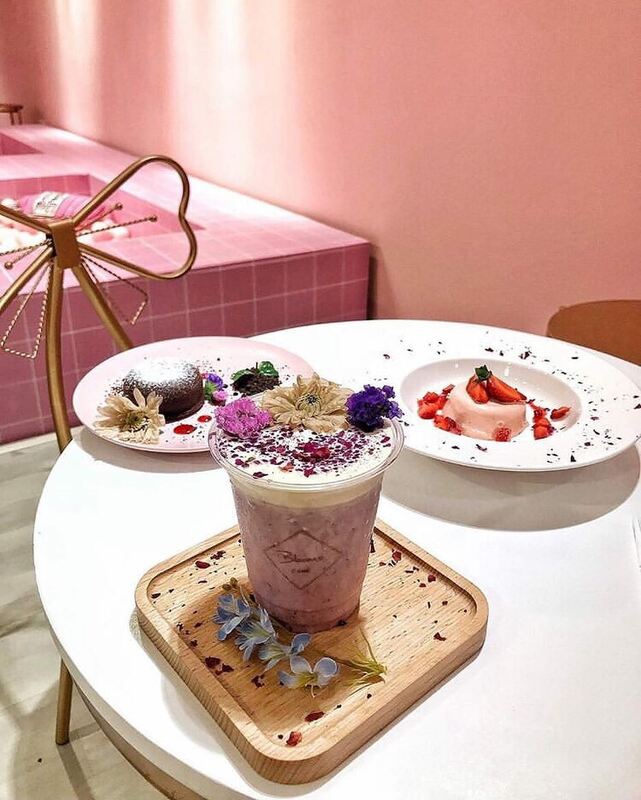 Their menu is filled with picture-perfect dishes - elegantly plated with delicate dried flowers or sprinkled with fragrant edible petals. Or both! Address: Blooms Cafe, 82, Lebuh Tye Sin, George Town, 10300 George Town, Pulau Pinang. 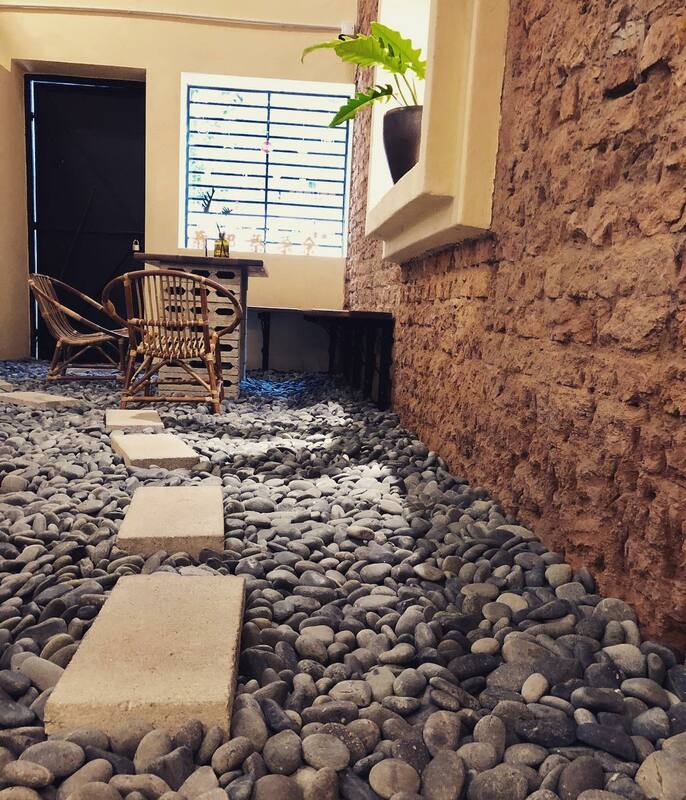 With its pebble-covered floor, rattan furniture, and warm lighting, Mia creates a serene spa-like ambience - a perfect place to take a breather from the hectic city life. 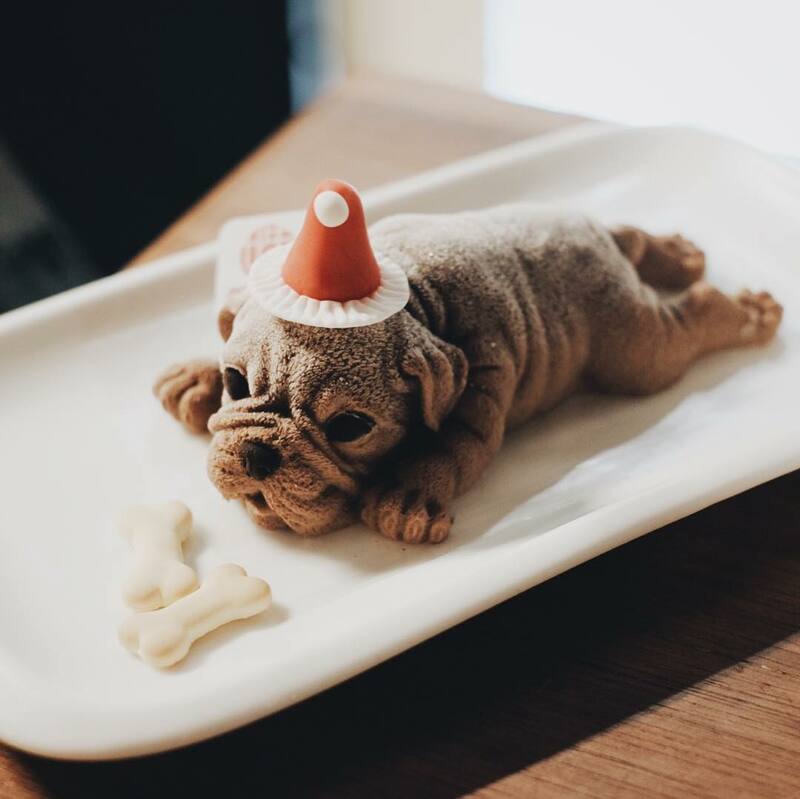 Serving one of the most viral food of 2018, Mia is known for their hyper-realistic doggo cake that's almost too cute to eat. Just almost tho. You definitely won't regret digging into this rich creamy dessert! Address: MIA Cafe Penang, 15, Jalan Kek Chuan, George Town, 10400 George Town, Pulau Pinang. 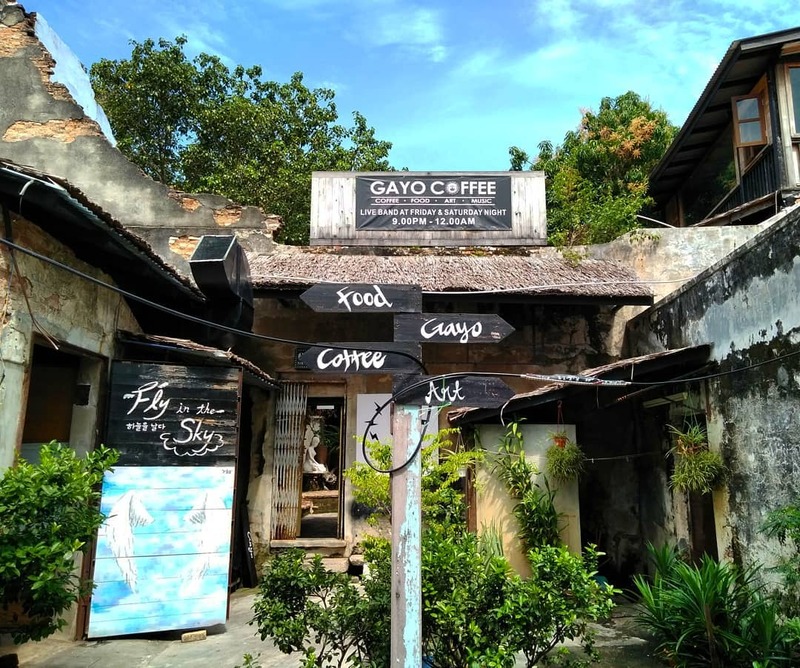 Dubbed itself the "longest" cafe in Penang, every inch of Gayo is decked out with vintage-styled decor that is picturesque from every angle. This cafe has 6-levels - all quirkily decorated with a vintage-theme and flora embellishments. It even has a courtyard that hides an enchanting old vine tree. Chill out to live music performances every night while you dine to an European-style menu, warm specialty coffee, and freshly baked pastries. 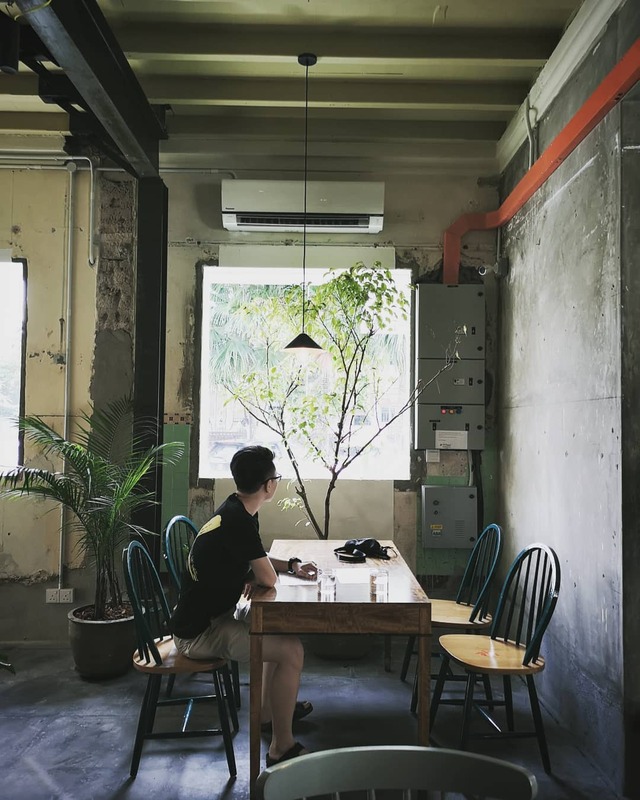 Address: Gayo Coffee, 161, Lebuh Pantai, George Town, 10300 George Town, Pulau Pinang. 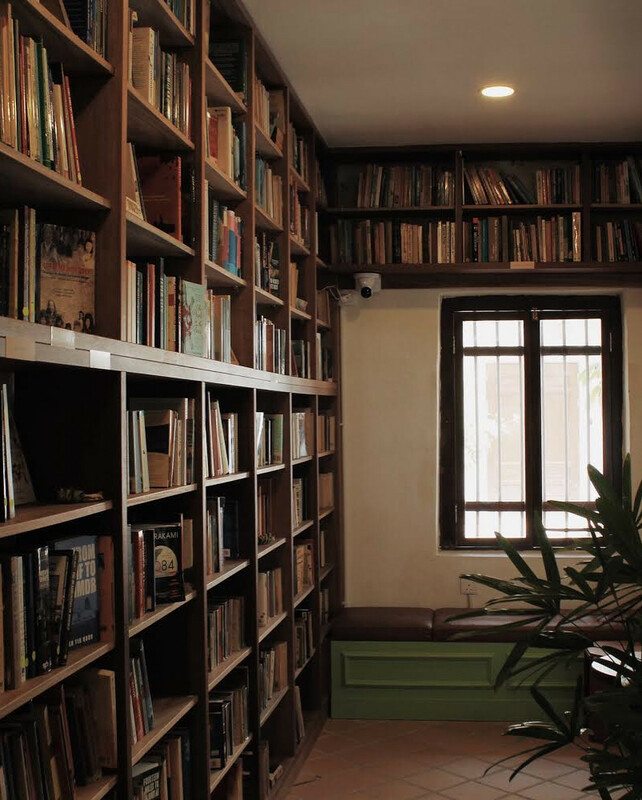 This bookstore cafe sets out to soothe any weary mind with its tranquil setting of comfy couches, coffee tables, and large bookcases that are filled with hundreds of pre-owned books (which you can purchase at a fixed price). While there's not much to be eaten here, light bites such as toasts, croissants, as well as coffee are readily available to accompany you while you get lost in the pages. 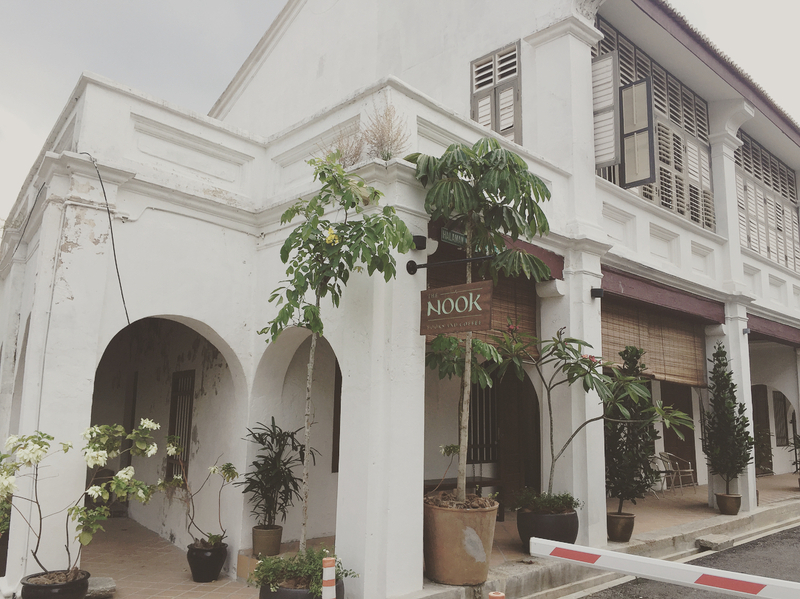 Address: The Nook Books Cafe, 4, Halaman Khoo Cheow Teong, 10100 George Town, Pulau Pinang. 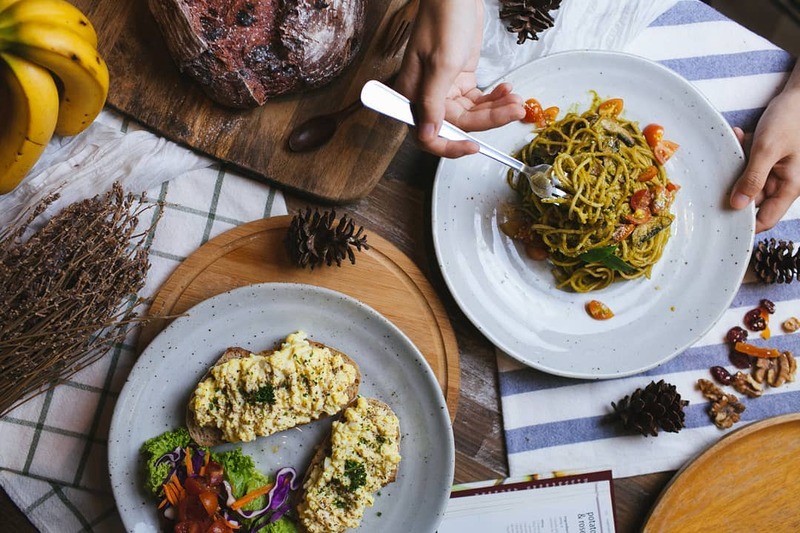 Check out our SAYS Makan Guide for more yummy places to eat and Like our SAYS Makan Facebook if you’re a big foodie like us! 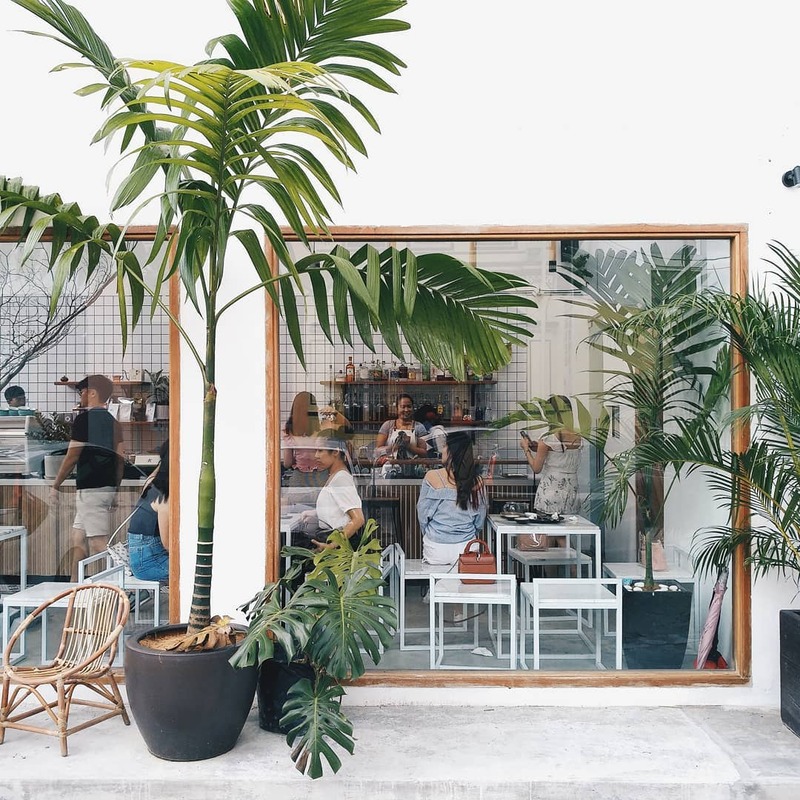 Check these out for your next cafe-hopping sesh! Mermaid fans, this one is for you. Unicorn lovers, this one is for you.